Grab a refreshing drink at the campsite, BBQ or picnic with an impact-resistant Coleman® 12 oz. Enamel Mug. Each lightweight, steel bowl is coated in a durable, classic blue speckled enamel finish. They also feature rolled rims for sipping comfort. It is recommended to maintain the decorative design on the mug that you HAND WASH ONLY, with a non-abrasive sponge and light regular dish soap. Do not use a scrubber or rub the design. Pat to dry. 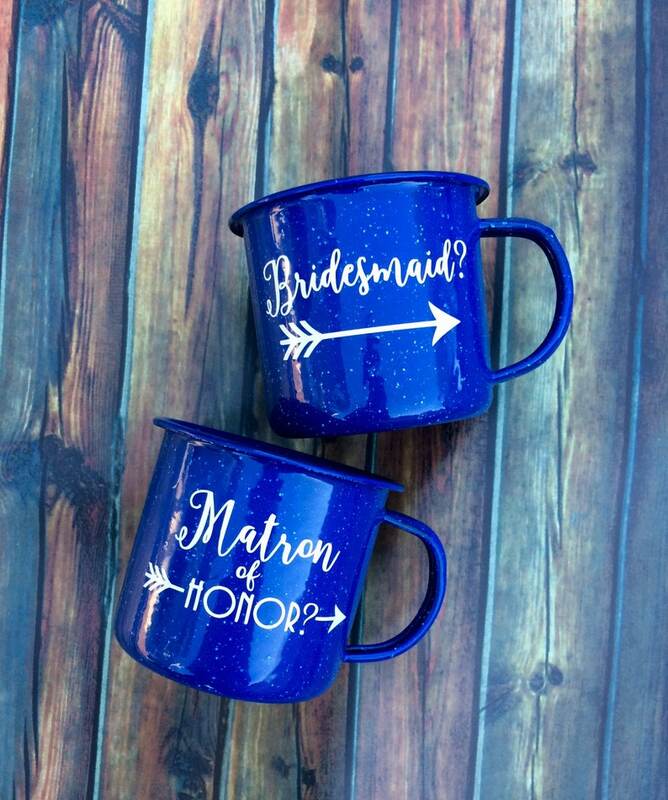 These were absolutely perfect for my bridal party! I’m having a camping wedding (untraditional I know) and it’s perfect for the theme. I loved them so much in ordering one for myself! PersonalizedMom's service was fast and efficient. She even double checked with me on the way I had something spelled. Most people wouldn't have done that. The cups look better than I had expected. If there was an option for more stars I would give it!! !